When you look into the history of hamburgers in the U.S., you'll find sources proclaiming the inventor to be Louis Lassen, "Hamburger Charlie" Nagreen, or the Menches Brothers. 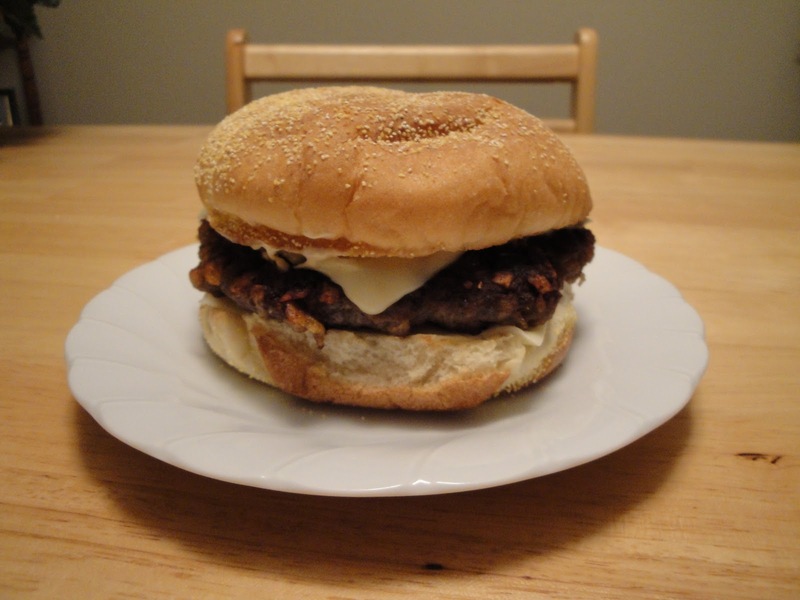 The history of the hamburger is truly a story that has been run through the meat grinder. Some sources say it began with the Mongols, who stashed raw beef under their saddles as they waged their campaign to conquer the known world. After time spent sandwiched between the asses of man and beast, the beef became tender enough to eat raw certainly a boon to swift moving riders not keen to dismount. In John T. Edge's book Hamburgers & Fries, that's wishful thinking. As Mr. Edge writes, "The history of proletarian dishes like hamburgers is rarely explained by a linear progression of events." But enough fishing in European and Asian waters, let's cut bait here. Somehow ground beef gets to America. Somehow it's put on a bun. But by whom? Surely the historical record becomes more clear once we cross to these shores. Louis' Lunch: This New Haven, Connecticut, burger joint claims to have invented our favorite lunchtime and dinnertime meal in 1900. From its website: "One day in the year 1900 a man dashed into a small New Haven luncheonette and asked for a quick meal that he could eat on the run. Louis Lassen, the establishment's owner, hurriedly sandwiched a broiled beef patty between two slices of bread and sen the customer on his way, so the story goes, with America's first hamburger." So who invented the hamburger? Take your pick. Too ground down at this point. In bowl, add Angus beef, breaking meat up. Add potato chips, french fries onions and egg. Mix well. Form into patties. In skillet over medium heat, add burgers and cook until to desire done-ness. About 14 minutes. Serve on buns and top with your favorite toppings. Enjoy! This burger would make my husband so happy! Burgers and fries are my very favorite food ever.....thanks for the history! Burgers and fries are comfort food! This is making me hungry! Love the background history, and I can't imagine how good this must taste with the Cajun potato chips in the meat. Yum. Nothing like a great burger and you sure did put some goodies in these! I will just have to remember not to eat all those chips by themselves. Thanks for sharing. Interesting history...Most of all, interesting development. Now it is known all over the world.Looks yummy! I heard the story about the Mongols, strange, isn't it? Food history is very interesting to me. I think hamburgers and fries is one of American's favorite. This is my husband's top favourite! I am so happy you clarified what craw tators are. lol Definitely a manwich and my men would love this!! That's a good-looking burger--and a fun use of Zapp's (it's been so long since I left New Orleans, I'd forgotten about them). Great burger history lesson here! so interesting. Thanks for the history lesson! I don't even eat beef and was entertained. I will be making this for my husband though, he is on the hunt for the perfect burger recipe and this one looks like a winner. Thanks Christine! I hope your husband likes the burger. Chips-what a great addition for seasoning in a burger. This sounds great, Christine! Nothing beats a good burger and this looks like a good burger! That is a good looking burger. My wife and I had Carolina Burgers yesterday. It had chili and cole slaw on it -- a pretty good burger. What a special burger! Though I like to cook mine for 2 or 3 minutes per side tops. Mmm, rare meat. My son would say "this satisfy a man's desire" to your burger. Never think that burger is originated from Asia. Burger and chips is a great meal! There was а hermit crab ihside aand it pinched her ear. I had to tll someone!